Out-of-State interests are pouring money into the upcoming fall election in an attempt to unseat our Wisconsin Senator Tammy Baldwin. These interest groups don’t vote in Wisconsin, and they will not be represented by the eventual winner of that election. You do and you will be. 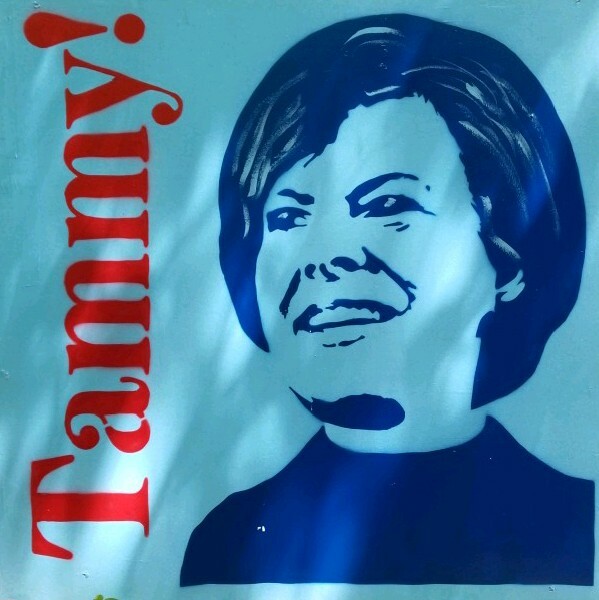 You may have noticed some large blue and red “Tammy!” signs along the highway in Door County. Or maybe you have seen some of the quasi “Burma Shave” series of Tammy Baldwin signs scattered throughout the county. Those signs were created, produced, and installed by your neighbors: fellow Door County residents who not only live here but are directly affected by the health care, environmental quality, tariff, tax, and many other issues decided on by our representatives in Washington. These Door County folks strongly believe that Senator Baldwin is the best person to represent Door County in the US Senate. The folks behind the “Tammy!” signs didn’t sit in Illinois or Arizona and write a check to influence your future. They spent time and money in Door County to tell residents and visitors alike that “Tammy!” is our choice for the Senate. I am proud to have her as my Senator. I wish every state could have at least one Senator who is as honest, ethical, intelligent, compassionate and as committed to the needs and dreams of residents of their state as Senator Baldwin is to Wisconsin. We need Senator Baldwin in the Senate for at least six more years. She works for you and me, not the big dark money cats from out of state. Let’s keep her in Washington, for us.